HOCKEY player Charlotte Buchalter celebrated her batmitzvah at Styal Lodge under the auspices of Hale and District Hebrew Congregation minister Rabbi Joel Portnoy. Altrincham Grammar School for Girls pupil Charlotte, the daughter of Sharon and Ian Buchalter, of Hale Barns, also enjoys socialising and cooking. And she is preparing for her grade five piano exam. Joining in the celebrations were nine-year-old brother Matthew and grandparents Pat and Cyril Baker, as well as guests from Ireland. THE Pennines was united as Sarah Sevitt and Darren Massel married at Etz Chaim Synagogue. 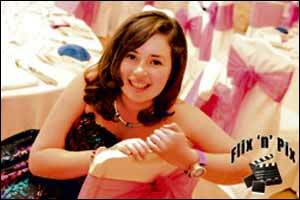 Sarah, daughter of Elissa and Neil Sevitt, of Leeds, is a solicitor but retraining to become an accountant. Darren, who works in information technology, is the son of Norma MASSEL, of South Manchester, and the late Murray Massel. Best men were Darren's older brother, Julian, and Rob Clyne, a friend since schooldays. Bridesmaids were Rachel Lewis and Lauren Vandervelde. Guests included Sarah's grandmas Trudy Webber and Ann Sevitt, and her cousin Nadia Autmazgin who travelled from Israel with husband Amit. Two of Darren's friends, Nathan Phillips and Rob Woolfson, also flew in from Israel. The couple honeymooned in South Africa and Mauritius and will settle in south Manchester. GUESTS travelled from all corners of England as Rafi Kleiman celebrated his barmitzvah at Beth Hamidrash Hagadol Synagogue. 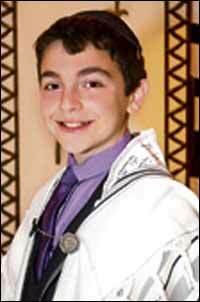 The son of Rabbi Jason Kleiman and his wife Elise, Rafi is a pupil at Manchester's King David Yavneh Boys School. His father and Jewish Telegraph contributor Rabbi Chaim Kanterovitz addressed him during the simcha. Rafi enjoys football, scouts and reading. His grandparents, Lydia and Melvyn Kleiman, of Leeds, and Gloria and Victor Appleson, of Hull, and his 103-year-old great-great auntie, Tess Levy, of Leeds, were among special guests. Rafi's brothers, Joshua, 17, and 14-year-old Avi also attend Yavneh.